Everything you do online adds to your permanent digital tapestry which grows pixel by pixel, letter by letter, frame by frame and note by note. You aren't Leonardo Da Vinci but you too can leave a Mona Lisa. Isn't being visible online risky? Others can see you. Your mistakes are permanent. Maybe we're not important enough to leave a legacy. Let's not quit that readily. You will mess up. Everyone does. The consequences vary. You may think everyone is looking but they're busy with their own lives. Or the latest celebrity scandal. Doing more things establishes what's "normal" for you. As your tapestry grows in size and detail (resolution), the small blemishes and mistakes vanish. The big deviations lose their significance. You become predictable --- not in the sense of boring but as reliable and consistent. Like Waldo in the Where's Waldo books, your "unforgivable" mistake is somewhere. Someone could find it but few will take the time to search. 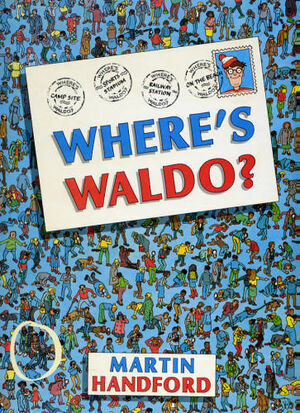 Even if found, this "Waldo" may not be of much relevance — especially as time passes. The searchers will also have a deeper appreciation of you from their exploration. Human frailties bring us closer together. We don't want perfection even in our superheroes. After all, Iron Man didn't save Leslie Bibb and the painting of Mona Lisa isn't perfect. Your bigger challenge is escaping from the cage of mediocrity and fading without a trace. You don't want to be one of the interchangeable drab minions in Apple's '1984' commercial. Instead, smash conformity with your personality. That's your free hammer. Your digital tapestry is your legacy, the past you build everyday. Your tapestry is part of the impression you make on others. This might even be the first impression. Staying offline is hardly a solution. Others can discuss you without your knowledge or permission. You might not even know. This is like a sign stuck to your back with the words "KICK ME" written there. You may be oblivious but you're not invisible. You are leaving a digital tapestry even if you'd rather not. This is empowering if you choose to be the artist. When you're gone, your digital tapestry could remembered more than your financial legacy. PS When you're the artist, you'll get a kick --- instead of getting kicked.